This month is my last and final song blog, at least, for now. If you read my last two posts, you’ll know the movie and song “I Can Only Imagine” inspired me to attempt this genre of writing. I am definitely not Mercy Me, but what I loved about the movie was the general theme of: “Don’t quit. Have a little faith and write from your heart. Write what matters and then you’ll have a hit.” I am not necessarily trying for a hit, but what I am trying for is to write about what matters. The beauty of these past few months for me was praying and letting God speak through me with small poems and phrases to talk through what matters; which is Hope, Believing, and Faith. For the first song – we discussed this crazy world, but in the same sense how we all have a purpose and how we can still have hope. The next month we discussed believing in God’s love journey. For me, I dedicated this second song to my daughter. This month we’ll discuss how having a little Faith (even as tiny as a mustard seed), can be what you’re missing in your life. To be honest, I believe there are many people out there just like me who have wondered, at times, where is God? Does God care? Why do I have to struggle? What is my purpose? My hope is this song will remind you that maybe all you need is Faith to make it through one more day and one more hardship. My other hope is I’ll find a singer who can actually turn these songs into music…lol! God gave me the gift of making words come to life, but not the gift of singing like angels. So if you are a singer who would like to make these songs into music, please let me know. I could use all the faith I can get. Who one day decided to not believe. Why did they have faith in a sneaky snake? Who avoided the truth – for heaven’s sake? Others such as Thomas, Gideon, Sarah, and Abraham. Why did they not have Faith in what is true? A very good question for me and for you. Would you build a golden calf? Is Faith something you carry with pride? Or is it something you continuously hide? Do you have Faith or do you doubt? Is your Faith a whisper or a shout? 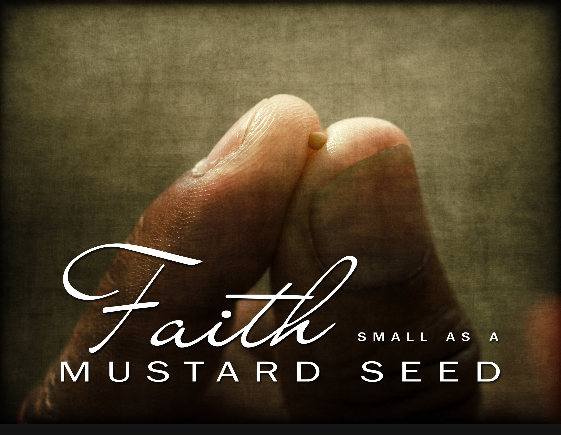 Is your Faith the size of a mountain or a mustard seed? Is your Faith big enough for you to succeed? 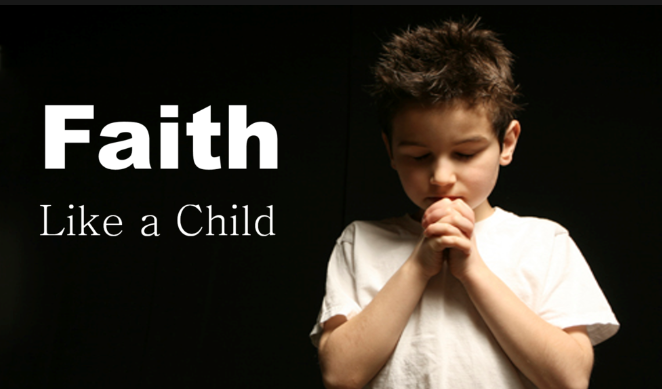 Do you have the Faith of an innocent child? Or is your Faith continuously running wild? But what do you think – how do you feel? Is your Faith a sign of weakness or convenience? Is your Faith just pipe dreams and lenience? Do you only have Faith when times are great? Or is your Faith because you fear heaven’s gate? Are you caught in a Faith vs. self-will battle? Do you allow your Faith to ever be rattled? Faith is not always easy to behold. It is something you believe without being told. Faith is not something you can easily see. You have to have Faith without touching the deity. Let me tell you something to keep in mind. The one who knows you from your head to your toes. God is everywhere – he’s in your heart and what is said. It’s time to ask God into your soul and your head. Read his word, pray, and let him hear your voice. Find others whose Faith is an everyday choice. Keep Faith in your pocket when you want to quit. Remember your life stories where God is legit. Remember without God it is hard to cope. Only he can give you what is missing; which is hope. Is your Faith full of questions? Is your Faith demands and suggestions? But with a little faith it’s something you can shake. Be Noah and the ark against all of the odds. For there is love where there is God.